“If I shout ‘Duck’! It doesn’t mean look out for wildlife: it means hit the deck – now”! 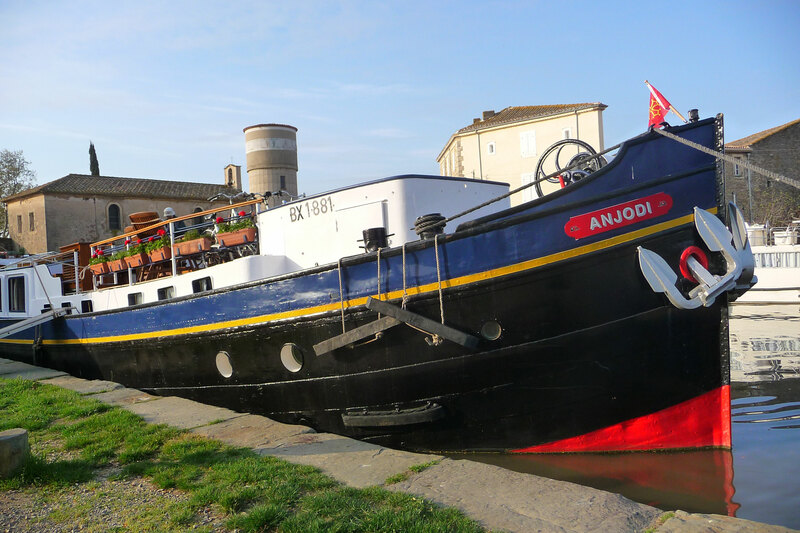 This was Captain Julian speaking, during instruction in safety etiquette on board the converted eight-passenger Dutch barge ANJODI, our home for the next six days as we cruised the tree-lined Canal du Midi in France. The reference to ducks and wildlife was timely, for shortly after leaving our embarkation point of La Somail, a delightful little village just 45 minutes from Montpelier, our boat was surrounded by friendly ducks and drakes with their ducklings, as sleek coypus swam close to the willow-hung banks, and grey and white geese scolded us from the tow-path. But a warning is a warning and we were careful to keep a look out for low bridges as we cruised along this, the oldest canal in France, designed by Pierre-Paul Riquet to link the Mediterranean and the Atlantic. He spent much of his fortune on the project but sadly, he didn’t live to see this magnificent feat of engineering, now a UNESCO World Heritage Site, completed in 1681. 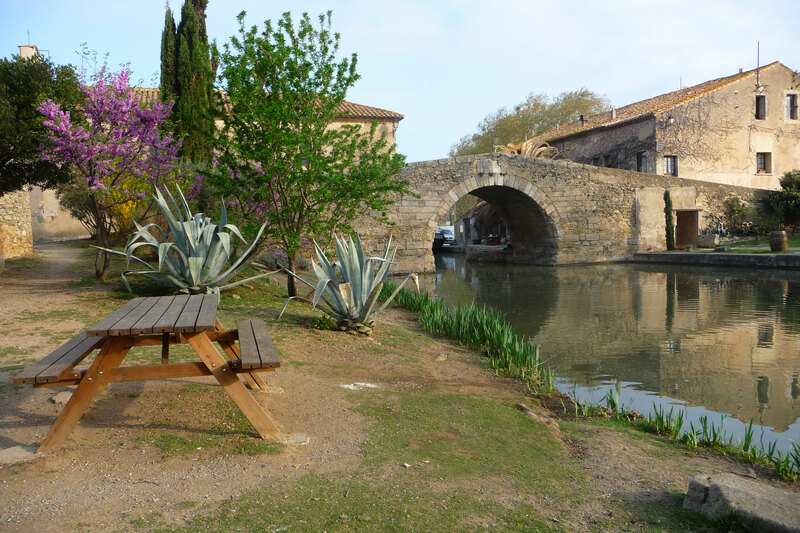 The Canal du Midi is 240 Kilometres long and runs from the city of Toulouse to the Lagoon at Thau on the Mediterranean Sea. 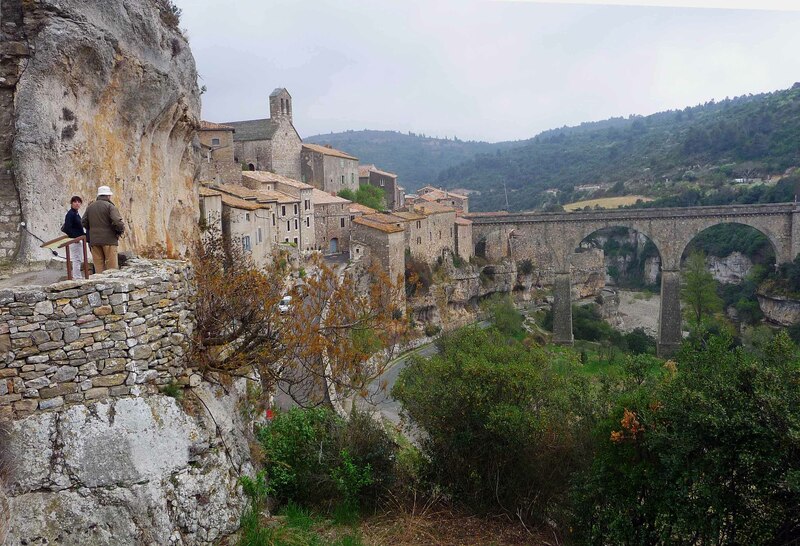 On our six-day trip we covered only part of this fascinating waterway in which the landscape changes from pasture to vineyards and from grain crops to rice paddi as it nears the Camargue. We soon found out what the captain meant by “duck” as we met bridges so low that even the tiller had to be removed at times – and we marvelled at the skill with which he and the crew took the barge through narrow locks just wide enough to accommodate it. The ‘ladder-lock’ at Fonserannes, a staircase of seven locks took 45 minutes to negotiate and watching this was as engrossing an experience as I’ve ever had. The plane trees that line the Canal du Midi giving shade to the boats and barges that use the waterways were just coming into leaf, their delicate pale green leaves a perfect contrast to the bright blue skies as we journeyed further south. The banks yielded up wild irises, white snowflake flowers, primroses and poppies, and the houses we passed were already displaying geraniums, crocus and, most surprisingly, peonies. Relaxing on deck with a Kir Royale or a glass of something bubbly, watching the passing panorama and admiring the churches and chateaux silhouetted on the hillsides, was total bliss after days hunched over a computer in a stuffy office. Often it was with great reluctance that we left the comfortable chairs on the deck for our meals as there was always a feeling that there might be something exciting just around the next bend. And one day there was. 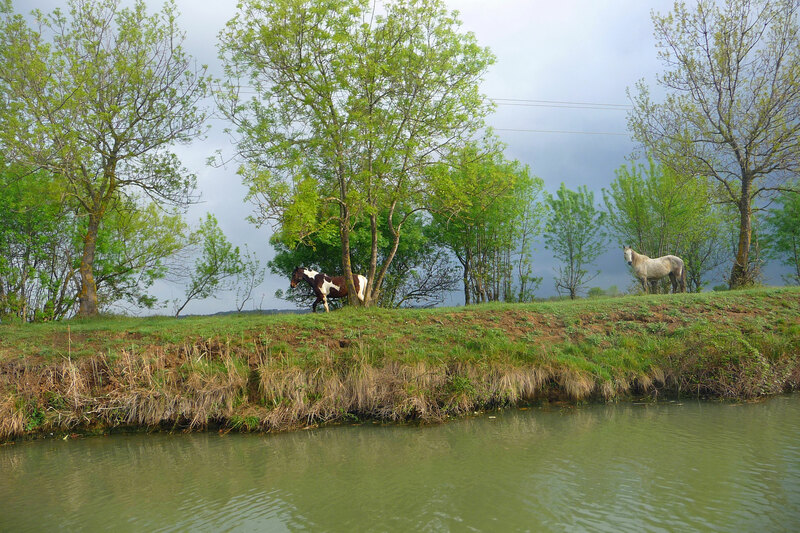 Standing on the bank contemplating us with curiosity were some of the wild horses of the Camargue. Storks flew overhead and off in the distance we could just see a flock of flamingos. Too excited to grab for the cameras we just revelled in the sight of the birds as they huddled together in the lagoon devouring the shellfish that gives them their pink colour. There were major sight-seeing jaunts in the barge’s mini-bus each morning, leaving the afternoons free for relaxing, walking or cycling along the towpath on one of the onboard cycles, and exploring the pretty villages along the way. We would catch up with the boat at the next mooring or lock – and as we always knew just how far the distance was between locks it made planning easy. Minerve, well fortified and perched high on a cliff. 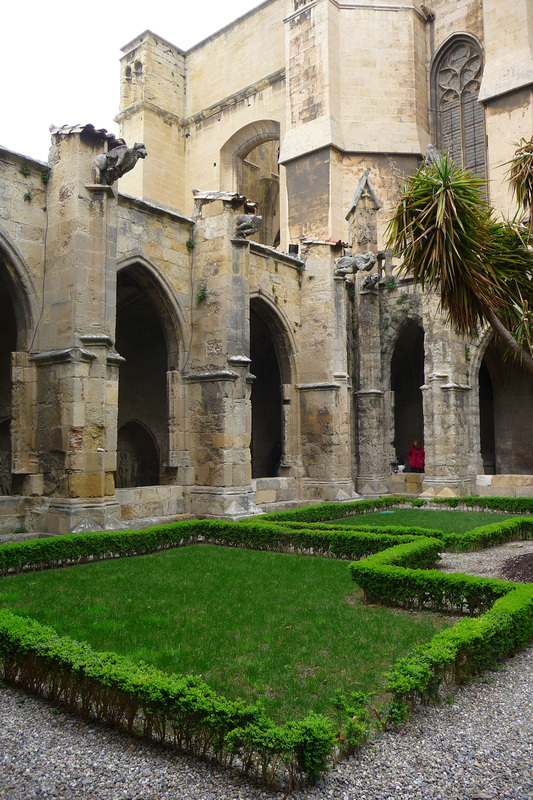 perched on a limestone plateau between the gorges of the Briant and Cesse rivers, and to Narbonne with its well-preserved Roman Road, were constant reminders of the bloody wars fought over this land. 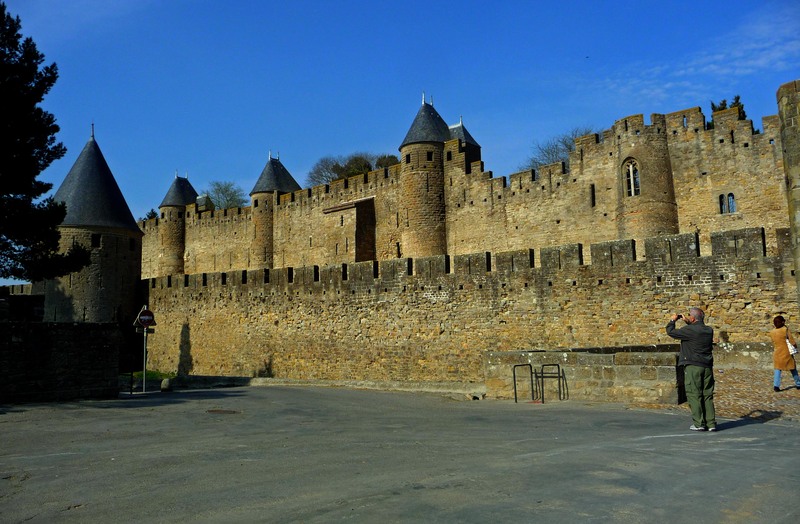 Inside the protective battlements of these fortresses are winding alleyways and narrow streets with half-hidden shops selling distinctive local crafts and products. 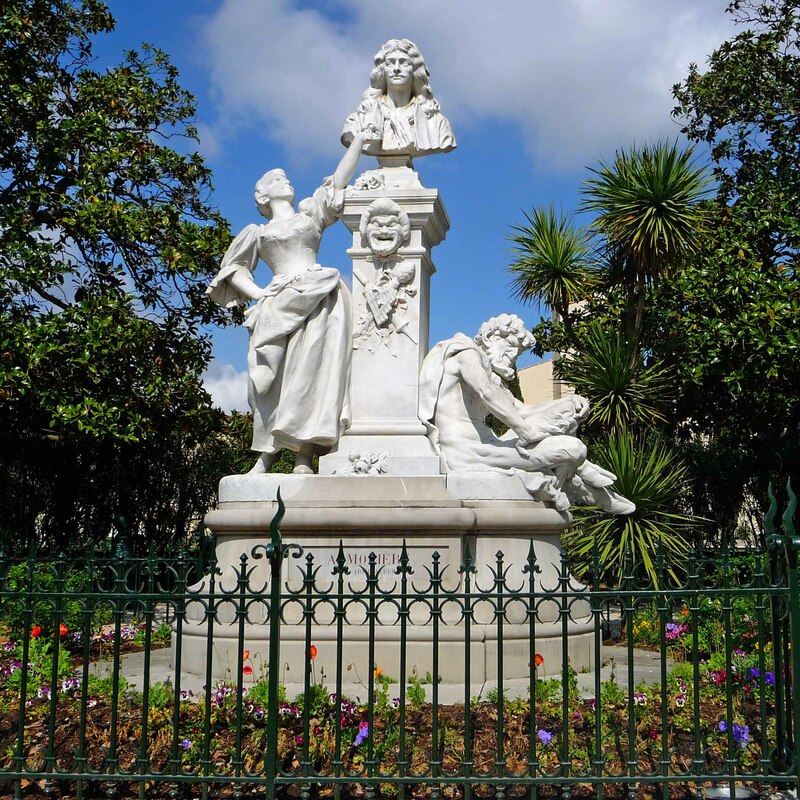 Visits to these and other towns, like Pézanas, the birthplace of Moliere, and Villeneuve-les-Beziers, alternated with wine tastings at prestigious chateaux and a very special wine-tasting at the home of one of France’s top female sommeliers, Mdme. Jackie Bonnet. 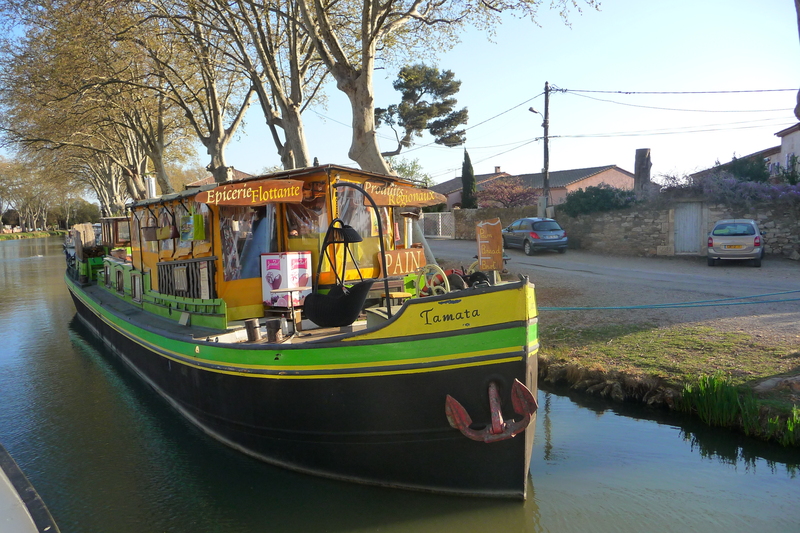 The Holy Trinity of the French table is wine, cheese and bread, and although our barge cruise was not solely about food and wine, it played a large part in our daily life. I’d cruised with European Waterways before and knew that the chefs and captains of the barges were chosen as much for their knowledge of regional specialities and produce as for their professional skills. Every day we sampled exquisite and unknown wines, often the product of a small single vineyard, alongside premium Crus of the great houses, and we ate the best locally sourced food available as Chef Lauren matched food to wine and cheeses to what had gone before with a skill that owed much to her knowledge of the countryside and its produce. 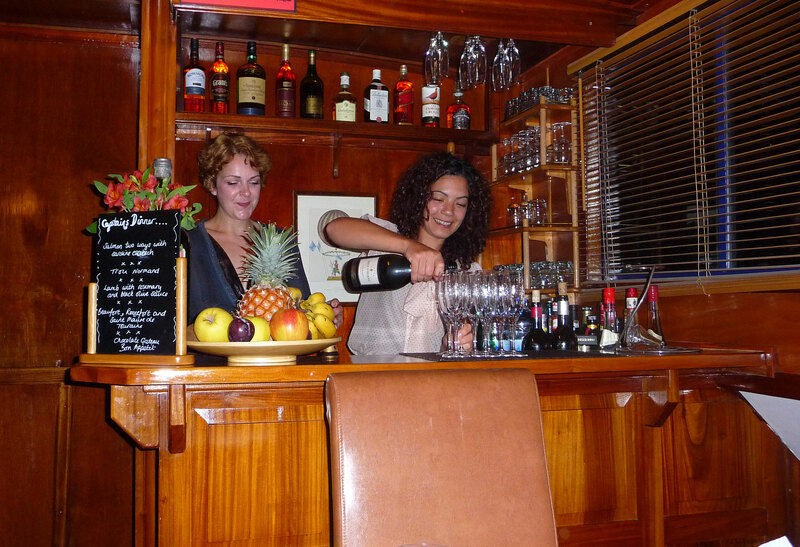 Chef Lauren and hostess Alex prepare pre-dinner drinks. Leaving the barge at our last stop for the drive back to Montpelier, was a wrench. The Anjodi offered peace and tranquillity and a stress-free environment with the ambience of an upmarket family hotel. At the same time. we had been given the opportunity to make trips to the major cities along the route, we enjoyed wine tastings at famous vineyards and had even lunched out at a superb restaurant on one occasion. And all this while sailing through some of France’s most quintessential countryside. 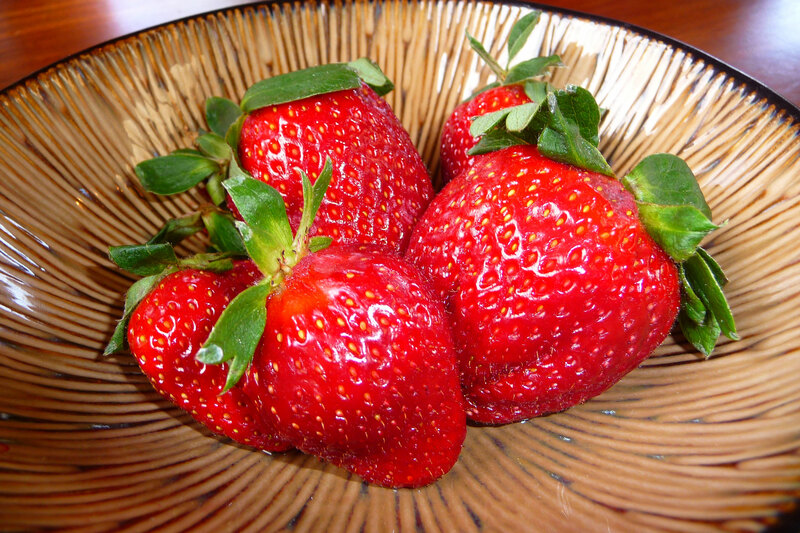 It can’t ever be better than that. The cruise is fully inclusive of gourmet meals aboard and ashore, fine wines, champagne reception, all day open bar, all excursions and admission fees, use of cycles, spa pool, and transfers to and from embarkation point. Crews are British or French but all speak perfect English and double as tour guides and drivers. Because this is a converted Dutch barge, not all of the rooms are spacious but they are all very comfortable and have air-conditioning and central heating. The lounge is elegant and comfortable, and the deck – on which meals can be taken – is equipped with deck-chairs, dining table and seating for eight. http://www.gobarging.com European Waterways, The Barn, Riding Court Road, Datchet, Berks, SL3 9JT. This persuasive, beautifully crafted travelogue has all the temptation of Eve and the apple – one just has to sample it. Thanks for your comment and for the Tweet! It had a double benefit in that it made me look at this piece again and I saw 3 typos and a couple of awkward constructions that I have now fixed, so thank you a second time. How do these things escape me after many readings and checks for mistakes?